Immigrants in Britain are often viewed as just that - 'immigrants'. Their experiences as migrants are sidelined in favour of discussions about assimilation and integration - how 'they' adapt to 'us'. This book refocuses debates about migration by following the experiences, memories and perceptions of three migrant groups in Britain: the Polish, Italian and Greek-Cypriot populations. 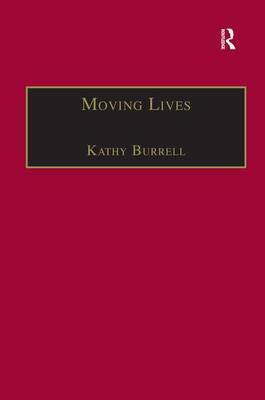 In tracing some of the key themes of migration narratives, Kathy Burrell illustrates that the act of migration creates enduring legacies which continue to influence the everyday lives of migrants long after they have moved. The book is structured around four key themes. The first is the migration process itself. Burrell highlights the important contrast between voluntary and involuntary migration, examining the different memories and legacies of migration. The second theme is the national, (as opposed to ethnic) identities of the groups studied. The author demonstrates how national consciousness survives the upheaval of migration and is perpetuated through the recognition of national histories, myths and traditional rituals. The third theme is a memory of the homeland. The author traces her respondents' memories and experiences of their national territory, focusing particularly on the transnational connections that are established with the homeland after migration. Finally Burrell considers community, analyzing her respondents' experiences of community life and the shared social and cultural norms and values that underpin it.